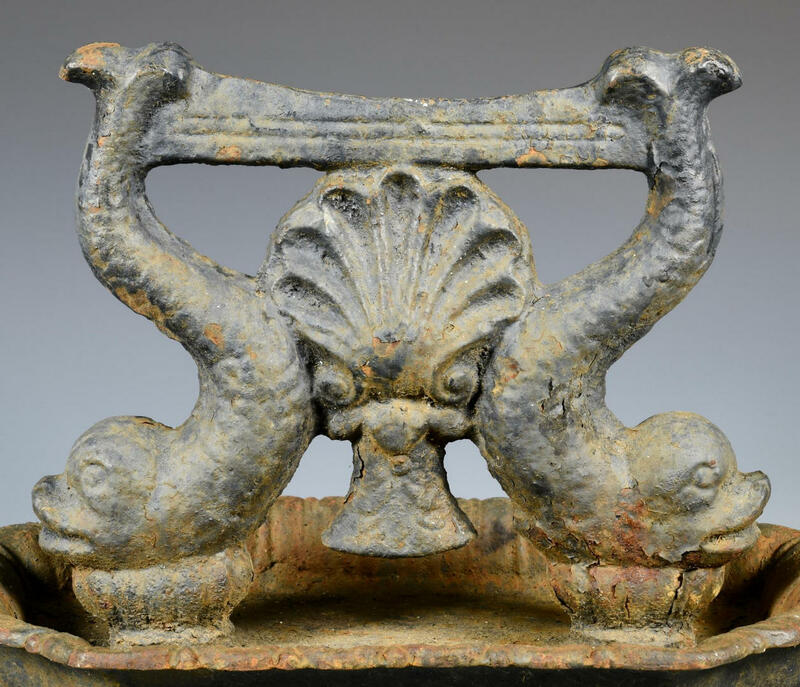 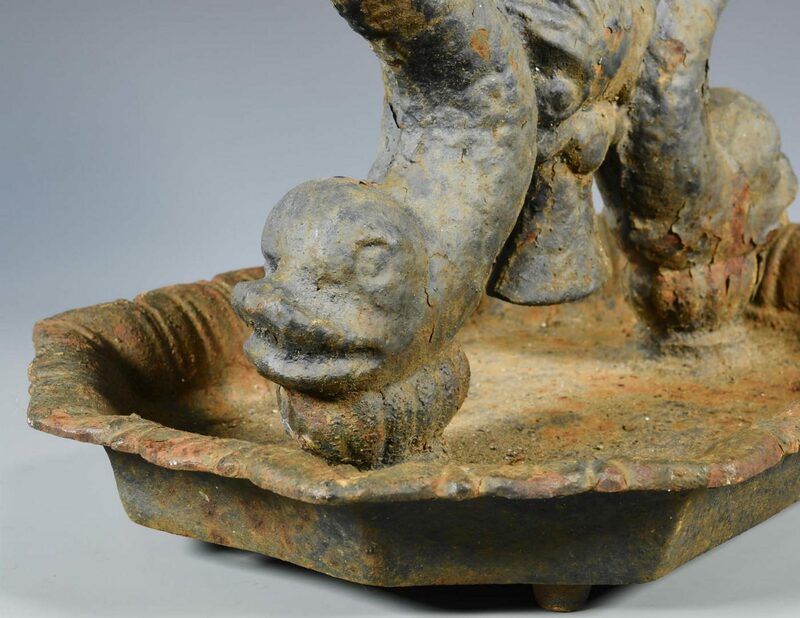 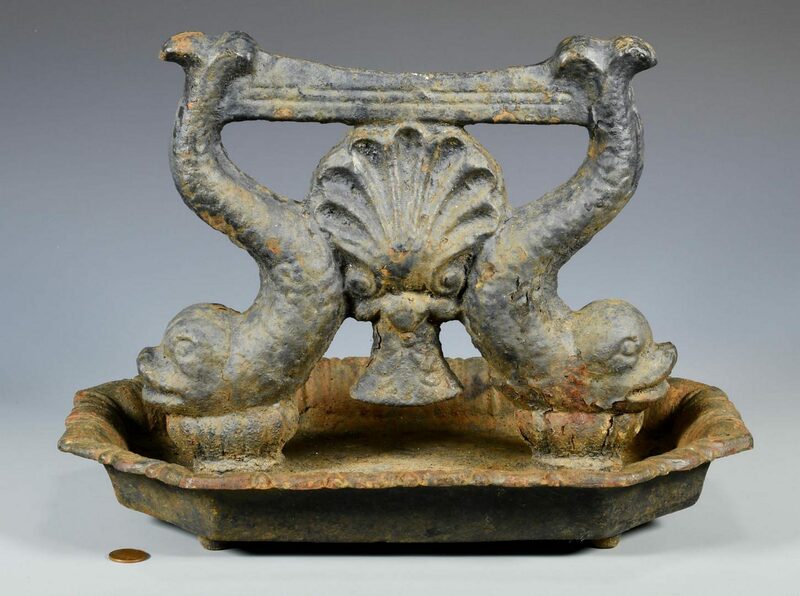 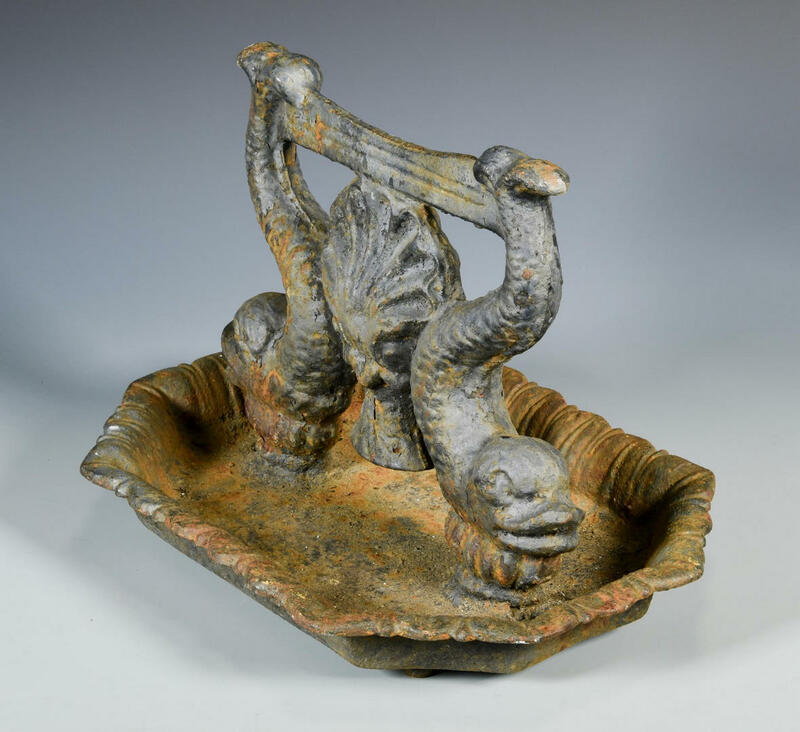 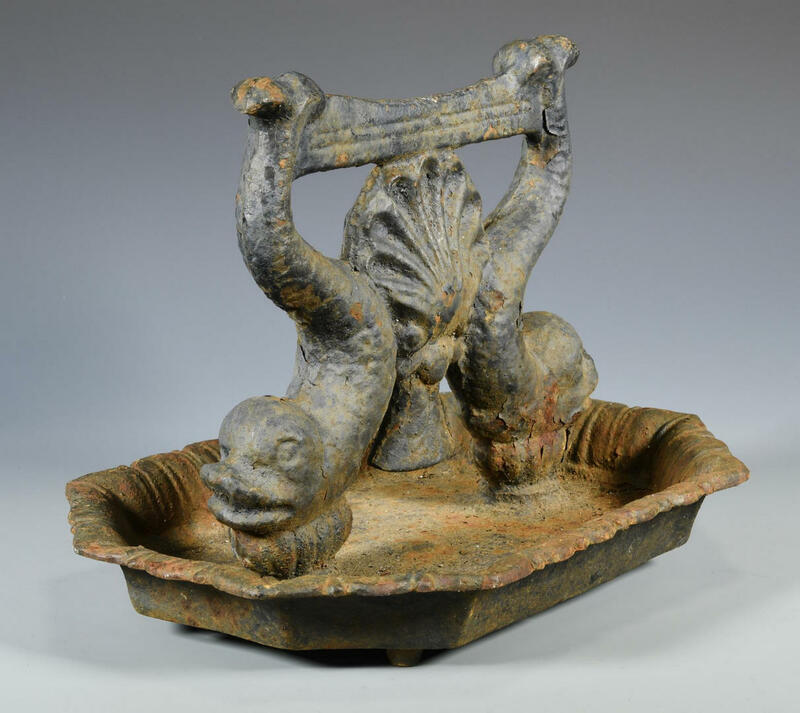 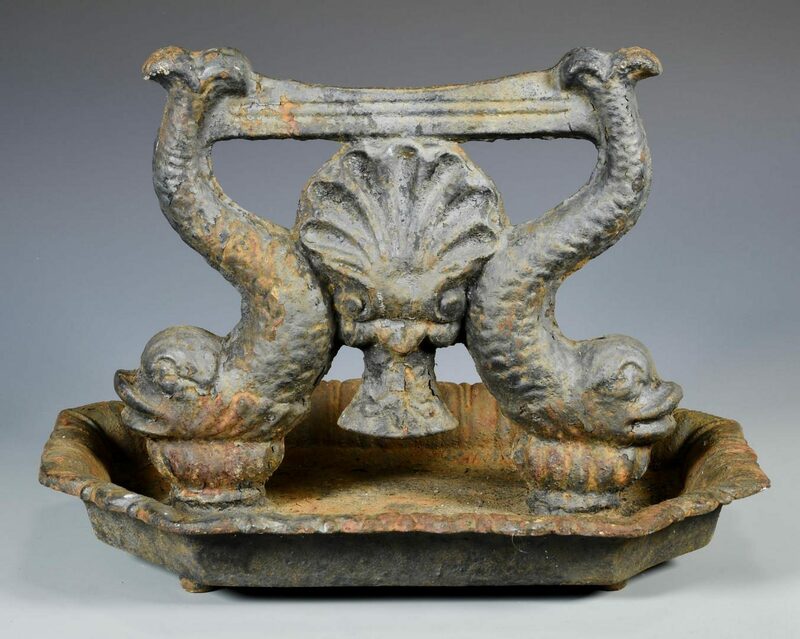 19th century cast iron figural dolphin bootscraper, central shell flanked by two dolphins on a shaped tray. 9 1/2" H x 14" W x 9 3/4" D. Circa 1850. 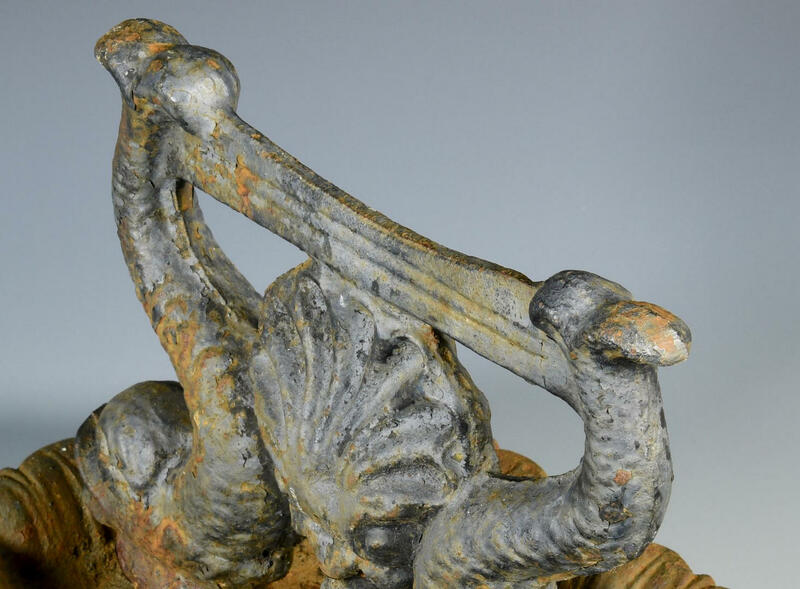 CONDITION: Remnants of old paint. 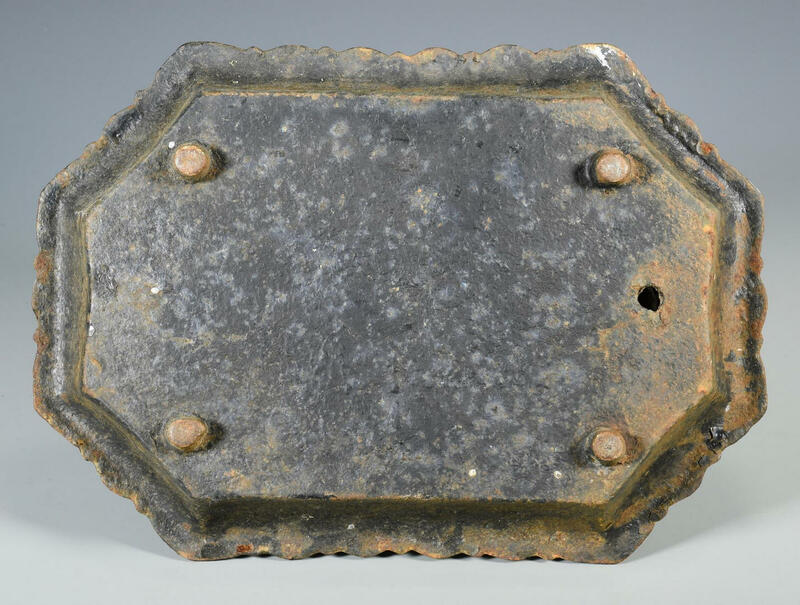 Some scattered rust and oxidation.